The following press release was originally created by the Office of Indianapolis Mayor Joe Hogsett. 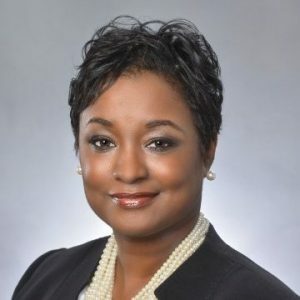 INDIANAPOLIS – Today, Mayor Joe Hogsett announced the appointment of Camille Blunt as the Director of the Office of Minority & Women Business Development. As Director, Camille will guide the office’s mission to promote a culture of inclusiveness in business opportunities and economic growth, and further the sustainability of business enterprises owned by minorities, women, veterans, and people living with disabilities. This will include cross-collaboration between city departments and community groups, working to improve relationships with businesses through outreach and certification, and serving as an advocate for the office and those it represents. Before her appointment to the Office of Minority & Women Business Development, Camille served as the Legislative Director for the City of Indianapolis, a role she began in January 2016. In this role, Camille was liaison to the City-County Council and oversaw the execution of the City’s legislative strategy on the state and federal level. During her tenure as Legislative Director, the administration garnered bipartisan support on most legislative agenda items, including passing the 2018 Budget with a vote of 21-2. Prior to serving the City, Camille was vice president with Bose Public Affairs Group. Camille met the needs of the firm’s clients through grassroots lobbying, political action committee management, state and local legislative lobbying, and relationship development. In addition to serving on a number of boards throughout the Indianapolis community, she is a member of the Ball State Alumni Association and the Governmental Affairs Society of Indiana.